Researchers have found a way of making cheaper energy-efficient windows using vanadium. The new technology may open up a market worth billions of dollars for ASX-listed vanadium players. The US Department of Energy’s Office of Science says US buildings leak about 30 per cent of their energy through inefficient windows, costing consumers an estimated $US42 billion ($58.9 billion) annually. 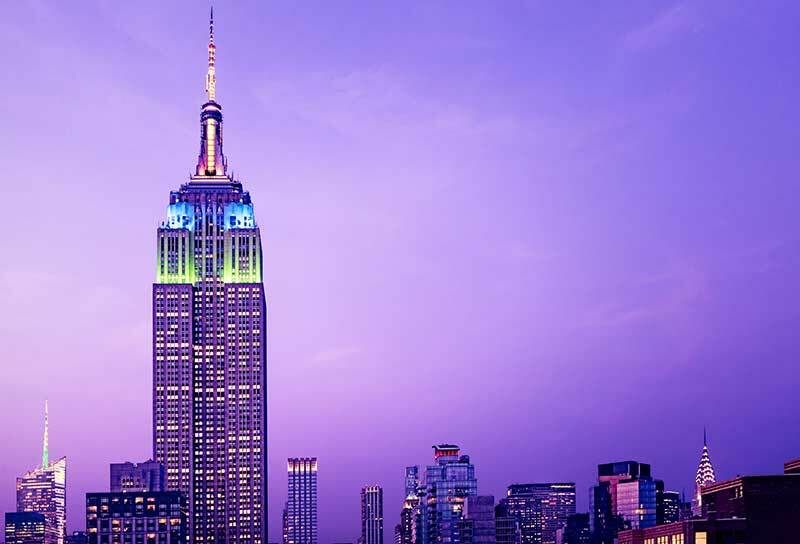 New York’s Empire State Building reported energy savings of $US2.4 million and cut carbon emissions by 4000 tonnes after installing “smart” glass windows. This has led the department to begin trying to commercialise a new process for synthesizing vanadium dioxide nanoparticles that makes manufacturing energy-efficient “smart windows” economic. A nanoparticle is a microscopic particle of between 1 and 100 nanometres in size. Nanoparticles have a range of potential applications including in biomedical, optical and electronics. Researchers from the US Department of Energy’s Argonne National Laboratory are working to bring the new technology to market as quickly as possible. Thermochromic smart windows work automatically to pass infrared energy in winter to keep buildings warm and block infrared energy in the summer to keep them cooler. The nanoparticle-based vanadium dioxide films have approximately twice the solar modulation values for high and low temperatures as thin films, said Jie Li, a chemical engineer at Argonne. Solar modulation is the amount of solar energy that the vanadium dioxide material can control at low and high temperatures. Thermochromic technology has attracted industrial interest for decades but has been a niche product because of its high cost and limited performance, said Ralph Muehleisen, who heads Argonne’s building science program. The problem has been that the best performing material for smart windows is vanadium dioxide in nanoparticle form. But, according to Argonne, until recently no one knew how to cheaply produce the nanoparticle form in enough volume to support commercialisation. “The use of nanoparticles increases performance and the continuous flow process we’ve invented reduces the cost of manufacturing them, so this is finally a technology that makes sense for window manufacturers to consider,” Mr Muehleisen said. But the Australians may have actually beaten the Americans to the punch. Researchers from RMIT University in Melbourne revealed in February this year that they had developed a new ultra-thin coating – that is a “thousand times thinner than a human hair” – using vanadium dioxide. “We lose most of our energy in buildings through windows,” said lead investigator Associate Professor Madhu Bhaskaran. Smart glass windows are about 70 per cent more energy efficient during summer and 45 per cent more efficient in the winter compared to standard dual-pane glass. The “smart window” market was valued at $US1 billion ($1.4 billion) in 2014 and is expected to be worth almost $US3 billion by 2021. Lux Research, meanwhile, predicts that thermochromic windows could capture two-thirds of that market by 2020. About 90 per cent of global vanadium production is used to make high-strength steel, but future demand stems from its role in vanadium redox flow batteries as well as other emerging market opportunities. “Vanadium is a remarkable element, clearly most of the price rises for the product have been from the increasing demand from Chinese steelmakers,” said Vincent Algar, the boss of junior explorer Australian Vanadium (ASX:AVL). “They use it to make quality steel alloys. But every day new ways of utilising the metal are surfacing, such as this latest use of nanoparticles for improving window energy efficiency in buildings. In December, Australian Vanadium delivered a pre-feasibility study for its Gabanintha project – which the company says is one of the world’s largest undeveloped vanadium resources. At the moment, the project has a total resource of 183.6 million tonnes at 0.76 per cent vanadium pentoxide (V2O5), including a high-grade zone of 96.7 million tonnes at 1 per cent V2O5. It also now has a reserve of 18.2 million tonnes at 1.04 per cent V2O5. Reserves refer to discoveries that are commercially recoverable using existing technology. Australian Vanadium is one of the best performing vanadium stocks over the past year having spiked 200 per cent to trade at around 4.5c. “It is hard to imagine a better time as right now, to move a high-grade Australian vanadium project into production,” Mr Algar told Stockhead. Earlier this year, Tando Resources (ASX:TNO) made its foray into vanadium when it picked up a project in South Africa. The newly acquired “SPD” vanadium project in South Africa is reporting high grades of over 2 per cent from magnetite pipes that are similar to the magnetite pipe once mined by Xstrata at the Kennedy’s Vale mine. Technology Metals Australia (ASX:TMT) is advancing its Gabanintha project towards production. A base case pre-feasibility study completed in June estimated Technology Metals’ Gabanintha project, 45km south-east of Meekatharra in WA, to have a production rate of up to 13,000 tonnes V2O5 per annum. Meanwhile, TNG (ASX:TNG) is working on bringing its $853m Mt Peake mine into production.